Eugene Science Center was founded in 1961 as the southwest branch of the Oregon Museum of Science and Industry (OMSI). It was incorporated in 1977 as the Willamette Science & Technology Center (WISTEC), an independent 501(c)(3) corporation. The name “Science Factory” was adopted in 2002, and then changed to Eugene Science Center in 2018. We are the only science center in Lane and surrounding counties. Download this history PDF to learn more about the Eugene Science Center’s past. Eugene Science Center strives to engage children, excite their curiosity, inspire them toward a lifelong love of learning about science, and empower them to use science and technology to improve their communities. 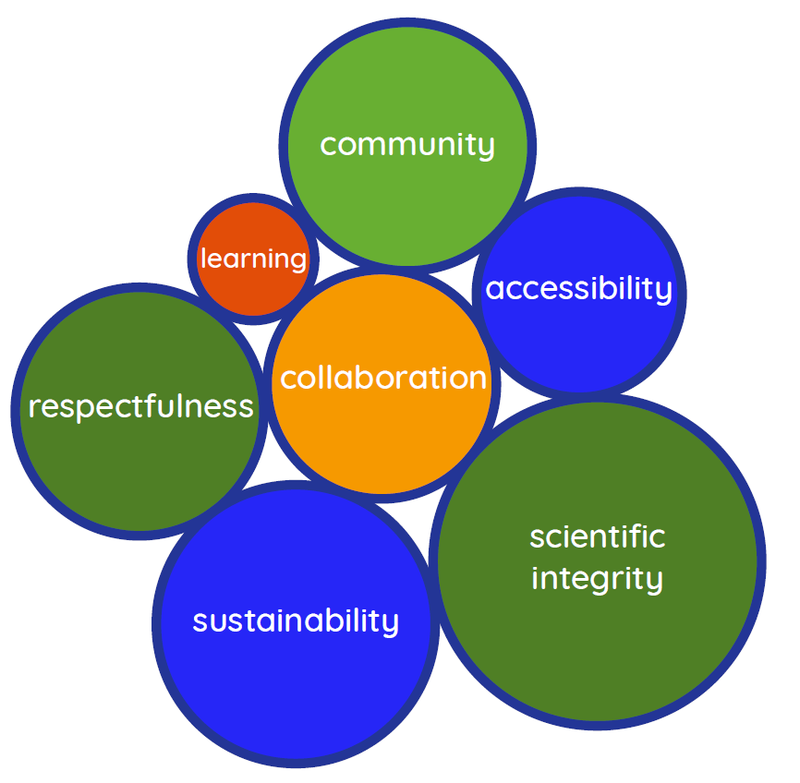 Empowered communities that foster scientific learning and innovation to help create a better world. We provide a variety of educational programming including interactive exhibits, planetarium shows and presentations, school and public programs, science camps, and special events. We primarily serve children ages 0 to 14 along with their families, teachers, and guardians. Our primary color is YInMn Blue, a pigment discovered in 2009 by Mas Subramanian at Oregon State University. Our complimentary colors, orange and green, are pigments recently discovered based on the unique chemistry of YInMn Blue (yttrium, indium, manganese). Our icon is a creative twist of the Fibonacci sequence in which every number after the first two is the sum of the two preceding numbers (0, 1, 1, 2, 3, 5, 8…).